Salesforce trims staff at Radian6, calling it a "rebalancing of resources"
Salesforce has just laid off some of the staff at Radian6 today, according to Techvibes. A source told them that within its marketing and social community departments, employees are being told that their services are no longer needed. Not everyone is immune to this cut and even those with vice-president titles are being laid off as well. Reports are saying that “fewer than 100 people were impacted globally”. This round of layoffs comes as a time when Salesforce has expanded its Marketing Cloud offerings, even announcing at its Cloudforce 2012 event earlier this month that it had signed on 20 social analytics vendors to bring their data analytic services to the platform. What’s even more surprising is that these services might even offer the same capabilities as Radian6 so why the sudden decimation in the company? It could be that with the finalization of the Buddy Media-Salesforce deal, the time to remove the duplication of roles has taken place. Or it could be based on a more strategic outlook based on new filings submitted by the company to the SEC. Buddy Media finished last year with $24.7 million in sales with losses of $14.7 million. For the first half of this year, it has amassed around $20.6 million. 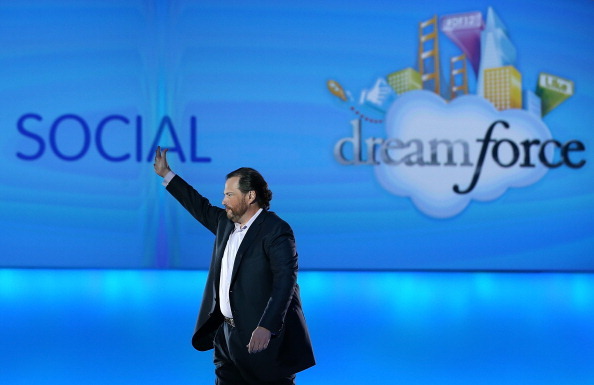 Salesforce paid $745 million for the company. All Things D notes that historically, Salesforce has paid a high price for its acquisitions — Heroku it paid $212 million and $326 for Radian6 which was profitable.It might be that the company is trying to make the necessary adjustments to offset these high prices. The core makeup of the Marketing Cloud offering is within Buddy Media and Radian6. To this end, Salesforce has made a play that would enable its customers to build out a strong social media presence while also monitoring sentiment and analyzing the data.